Make Your Garden a Family Affair this Spring - Times Publishing Newspapers, Inc.
Spring weather can be unpredictable, but there is one thing you can count on: more hours of sunlight each day. 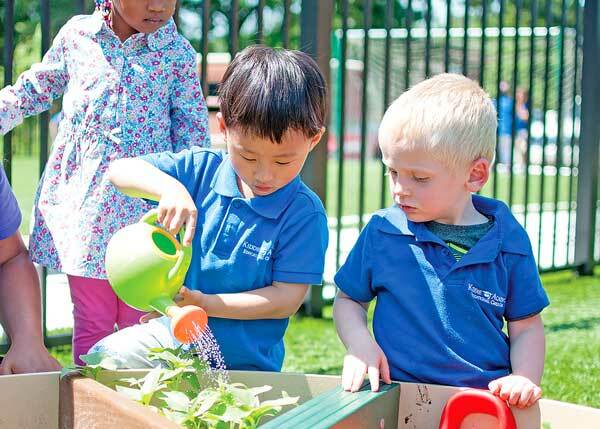 And, according to the child care experts at Kiddie Academy, an educationally focused child care provider, that makes Spring the perfect time for parents and their children to begin planning – and planting – the seeds of a summertime garden. Reinforce the importance of healthy eating and teach children where food originates. Teach your children basic science lessons like cause and effect and plant life cycles. Provide character education lessons about responsibility and caring for the environment, as well the importance of setting goals and taking steps to achieve them. Fuel your child’s creativity as they plan what to plant and envision the final result. Give your children permission to do something they love to do: play in the dirt and explore nature. While geography and plant selection are the key factors in the decision on when to begin to plant your outdoor garden, starting plants indoors from seeds is a great way to show children the entire cycle of planting. When you do begin your outdoor planting, keep in mind that children may not have the patience to wait for seedlings to produce results, so consider adding a few more mature plants from your local nursery to your garden for some “instant” gratification. The Old Farmer’s Almanac offers a planting calendar based on the “frost free” date for your location. Finally, Peterson suggests, plan for success. Sunflowers, lettuces and pumpkins are all relatively easy to grow, are hardy, and children can eat the final product. Just be sure you have enough space set aside. Sweet peas, marigolds and pansies are also good choices for kids to plant, as these flowers grow easily and abundantly. For more eco-friendly and Earth Day kids’ activities, visit the Kiddie Academy Pinterest board at www.pinterest.com/kiddieacademy/eco-friendly-craft-ideas-earth-day-activities/. Kiddie Academy® of Feasterville provides educational child care in the greater Feasterville area that focuses on days filled with learning and fun, the key ingredients of our Life Essentials® educational philosophy. The smiles you’ll see on our children’s faces as they learn, share family style meals with other children, and grow socially will delight you. The words from our children’s parents about our program, safety and facility will impress you. Kiddie Academy® of Feasterville is located at 105 Philmont Avenue in Feasterville. For more information or to schedule a visit, call 215-494-9415 or visit kiddieacademy.com/academies/Feasterville/.